At Black Barn, our mission is to provide a truly beautiful and memorable location for your special event. For years, our family has enjoyed hosting gatherings and events for our own family on our scenic, 16 acre property; now, we want to share it with you. Our 3,900 sq. ft. New England style barn is complete with separate men's and women's restrooms as well as a bridal dressing room and a groom's suite, creating a perfect space for weddings. On the east wall of the event space, you'll notice wall-to-wall glass garage doors that overlook a pond and the vineyard. Weather permitting, doors open up to a patio area for additional space for your guests and a beautiful view of the property. 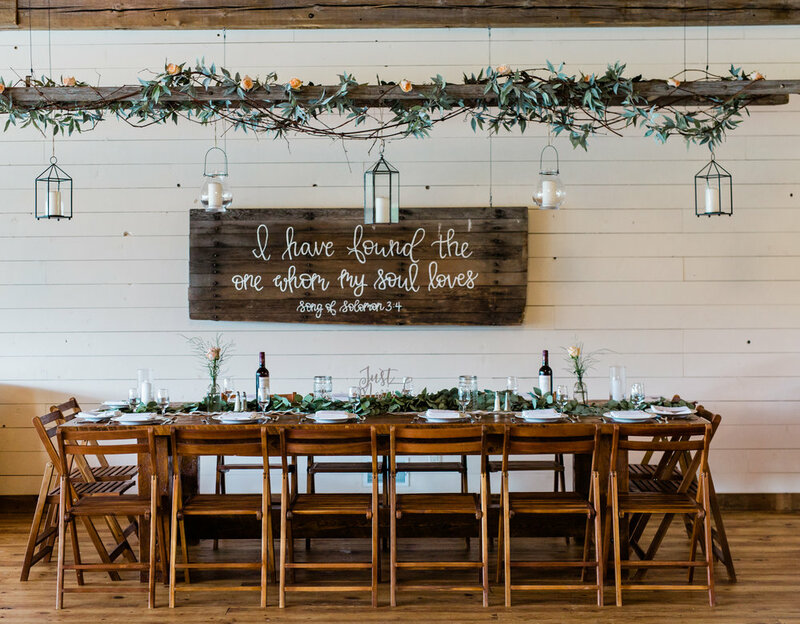 With each wedding booking, Black Barn Event Hall offers access to the building the day before the wedding, in order to decorate, and access to the building the day after the wedding until noon to retrieve any items. Set up of tables and chairs before the event, as well as tear down and cleaning after the event is included in the rental fee. An onsite coordinator for the day of the wedding and an onsite ceremony are included in 2020 pricing. For more information, contact us. Located just 30 miles south of Lansing and 40 miles west of Ann Arbor, Black Barn Vineyard & Winery is situated on 16 acres of scenic country property, offering the perfect backdrop for your special day. If you’re interested in celebrating your wedding with us, please contact us by phone or email to schedule a tour. We are happy to answer any of your questions regarding available event dates, detailed pricing, and/or what's included with booking. Contact us today by clicking here!